Tier1 Brand filters offer exceptional Quality and Value. Our products are proven to perform with rigorous testing protocols, offering similar quality as brand name OEM products but at a much lower price. We are proud of our quality - all Tier 1 filters have a 365 days no hassle return policy and are independently tested to NSF/ANSI Standard 42 for the structural integrity and the reduction of chlorine, taste and odor. We strive to ensure our prices on Tier1 and named OEM brands are the lowest in the industry. In the event you see a lower price elsewhere we will match that price to the lowest possible price which is our price match guarantee. We encourage you to bring this to our attention. The Tier1 Private Brand filters are designed for full and specific compatibility to their OEM counterparts and will work in any application as the original OEM filters and are backed by a 365 days no hassle return policy. Tier1 brand filters offer similar filtration quality as OEM counterparts at a lower price and offer the best value for your money, backed by our 365 days no hassle return policy. 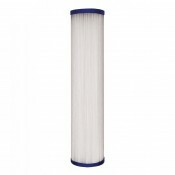 Tier1 brand filters offer similar quality as OEM brands with our reliable, certified and industry standard filters. We offer our filters online directly to consumers with fewer middle-men and a lower mark up; hence are able to pass the cost savings on directly to our customers. Like all industry standard refrigerator filters, Tier1 filters are a carbon block filter. In addition to reducing contaminants, these filters are also designed to address taste or odor issues that may be present in your drinking water. The typical filter life for Tier1 or OEM brand filters is 6 months. Filter life is dependent on the quality of the water being filtered, as well as the frequency with which it is used. Yes. Our customer service team is stacked with experts certified by industry-leading organizations, including the Water Quality Association (WQA). If you have a question about air filters, water filters - or even fresh air and clean water - our team can help. We can be reached toll free at 1-800-277-3458, Monday through Friday, 7am to 7pm Central Standard Time.